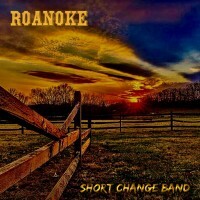 Roanoke is the band's seventh studio album and first album produced by Ronald Hadden Jr. at The Underground Studio in Sidney, NY. This album was released in June of 2017. The album includes five original songs written and sung by Kevin Michael Winters, and one cover tune by Steve Earle sung by Mike DeBetta. The band members include Kevin Winters on guitar and vocals, Mike DeBetta on Drums, Vocals, and Percussion, Darrell Dennison on Bass Guitar, K. Travis Rutherford on Keyboards. Additional musicians include Ronald Hadden Jr. on rhythm guitar on the track "Oh Girl" and Cliff Clune on lead guitar on the track "Roanoke"
Again and Again is the band's sixth studio album and first album with K. Travis Rutherford on keyboards. This album was released in early 2016. The album includes two tracks from "Full Circle" recorded with Kevin Winters singing lead vocals, a new version of "Jack Daniels Whiskey and Hank Williams Songs" with piano, and a live track of "Folsom Prison Blues". The band members include Kevin Winters on guitar and vocals, Mike DeBetta on Drums and Percussion, Darrell Dennison on Bass Guitar, K. Travis Rutherford on Keyboards. Just about to Lose My Mind is our fifth studio album, released in 2012. 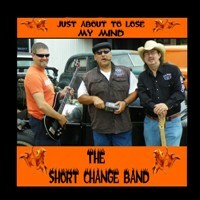 The band members include Kevin Winters on guitar and vocals, Mike DeBetta on drums, percussion, and vocals, and Darrell Dennison on bass guitar. Special Guest include: Dean Goble on fiddle, guitar, and background vocals, Mark Thurston on piano and keyboard, Bob Carlucci on steel guitar and electric guitar, Ken VanEtten on banjo, jews harp, and harmonica, Jake Vroman on electric guitar, and Sue Vroman on background vocals. All of the songs are original songs written by Kevin Winters except "God's Angel Now" written by Dave & Donna Callan and Kevin Winters. 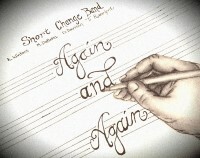 All of the songs are arranged by the Short Change Band. 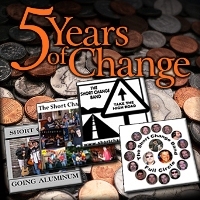 5 Years of Change is a compilation album, appropriately titled, and released in 2011. This album includes previously released tracks from the (4) studio albums. We compiled a "Best Of" listing based on song requests we've received over the past few years. If you have all of our studio albums up to this point, then you have all of these songs already, but this album is great for someone just starting to listen to the Short Change Band. The track listing (20 Tracks) includes a great cross section of our music, covering blues, country, southern rock, and many other influences. Full Circle is our fourth studio album, released in 2010. 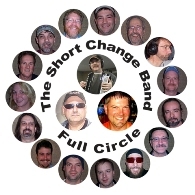 The band members include Kevin Winters on guitar, accordion and vocals, Mike DeBetta on drums, percussion, vocals, and bass, and Darrell Dennison on bass. What's even better, is that we have several other musicians on this album, including: Chris Evans on vocals, Chris Luttinger on horns, Dean Goble on vocals, guitar, fiddle, mandolin, cello, keyboards, Donnie Gillette on drums, Gene Hummel on electric guitar, Jack Burt on guitar, Jamie Bates on bass, Jarrod Winters on vocals, guitar, Jeff Moat on guitar, Jeff Hoag on mandolin and guitar, Jim George on bass, Patty Patterson on vocals, Phill McDaniels on vocals and guitar, Troy Warner on drums, Wally Webster on drums and harmonica. 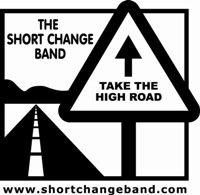 Take the High Road is our third studio album, released in 2008. 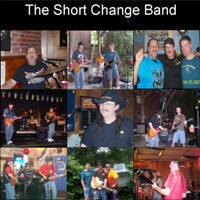 The band members include Kevin Winters on guitar and vocals, Mike DeBetta on drums, percussion, vocals, and bass guitar, and Darrell Dennison on bass guitar. Special Guest include: Dean Goble on fiddle, guitar, and background vocals, Mark Thurston on piano and keyboard, Larry Bates on steel guitar, Walt Kulwicki (from the band Those Guys)on guitar, Cindy Winters, Andrea Barse and Robin Vanek on background vocals. Sessions was our second studio album, released in 2007. This album is a compilation of original songs that were performed during 2006. The band members include Kevin Winters on guitar and vocals, Mike DeBetta on drums, percussion, vocals, and bass guitar, and Darrell Dennison on bass guitar. Special Guest include: Dean Goble on fiddle. 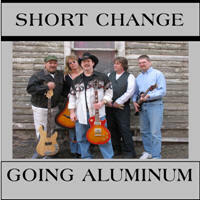 Going Aluminum was our first studio album released in 2006. The band members include Kevin Winters on guitar and vocals, Mike DeBetta on Drums and Bass Guitar, Darrell Dennison on Bass Guitar, Sue Stanley on guitar, flute and vocals, and Joe Pobocek on drums and percussion.